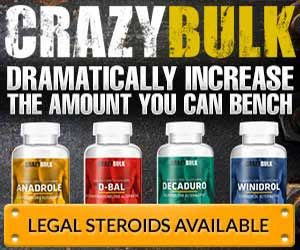 Continuing the article series that as been written on this Muscle Weight Gain & Muscle Building Blog, one of the biggest misleading aspects of supplement companies are no doubt the hyped up ads. The wording and the popular “Before” & “After” pictures are what fool millions to whip out their wallets and hand over their cash in hopes of obtaining the body they so desperately want. Hey, just the photos alone are enough to quickly believe all of the hype presented by the supplement companies. But many have been proven to be out-right desception! Case in point:Recently, Xenadrine EFX, CortiSlim, One-A-Day, WeightSmart, and TrimSpa, the makers of these very popular supplements had to pay over $25 million because of false advertisement, as discovered by the FTC. What was the false advertisement these companies used? First off, it was proven that the reason for any body fat burning or any muscle building on the subjects were due to what they ate and how they weight trained, not the dietary supplement itself. Second, the manufacturers own paperwork on the studies used in their “advertorials” demonstrated that the groups that didn’t take the supplement actually lost more weight than the group that did! A blind man can see that the supplement industry has many dishonest companies who could care less if you gain any results from their products or not. All the care about is their bottom line: $$$$$$$$.